www.binarystarsoftware.com Chris Malcom's site - a recent homebrewer to the Vectrex, he has already released many game rom binaries, and will sell on cartridge soon. http://www.luchs-soft.de Der Luchs' site - another recent homebrewer to the Vectrex, Der Luchs is notable for the frequency he announces new Vectrex gams. Some are downloadable and others are availabe on cartridge from different suppliers. 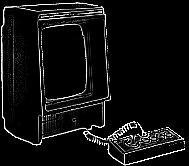 www.garrysgamingblog.blogspot.de Garry's blog - A collection of his Vectrex projects. He includes source and binary to Alpha-come-Beta releases of his early attempts at games. www.furyunlimited.com George Pelonis otherwise known as Fury Unlimited - author of I, Cyborg, Vector 21, War of the robots and 3D Lord of the robots, Sector X, Warrior and many more. Fury is the most prolific of the home brewers! 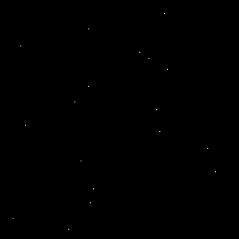 www.kristofsnewvectrexgames.comli.com Kristoft's Vectrex page for Vectrexians and Vector Pilot. Several games are in development including Vector Patrol, Vecruss, Vectorion. The Vectrex community is currently waiting for official release of Vector Patrol, hopefully 2014 will be the year! www.revival-studios.com New Vectrex Games for sale by M. Wenting, author of Debris (2005), Colour Clash (2006), Vectoblox (2007). www.herbs64.com Alex Herbert's website - author of YASI and Protector. Also included on the website is Verzerk, a speach enabled version of Berzerk. Hasn't been actve for quite a few years. www.vectorzoa.com Alex Nicholson’s website - Author of modern Vectrex software including Vectrex Logo, Star Sling and Spike Circus and Solar Wars (2008). Hasn't been actve for quite a few years. www.classicgamecreations.com John Dondzila’s website containing details on all his games. www.packratvg.com Producer of home brew games for retro systems including the Vectex. Packrat have taken over the distribution of games by John Dondzila.